Deposit:$5,000 with agreement, Balance of 5% in 30 days, 5% in 90 days, 5% in 270 days, 5% on Occupancy. 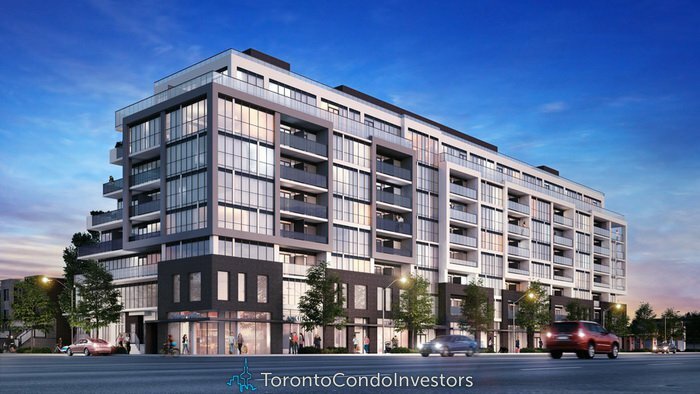 Welcome to CANVAS Condominium on Danforth Avenue, just steps from 2 subway stops, GO Train, close to Greektown and The Beach. 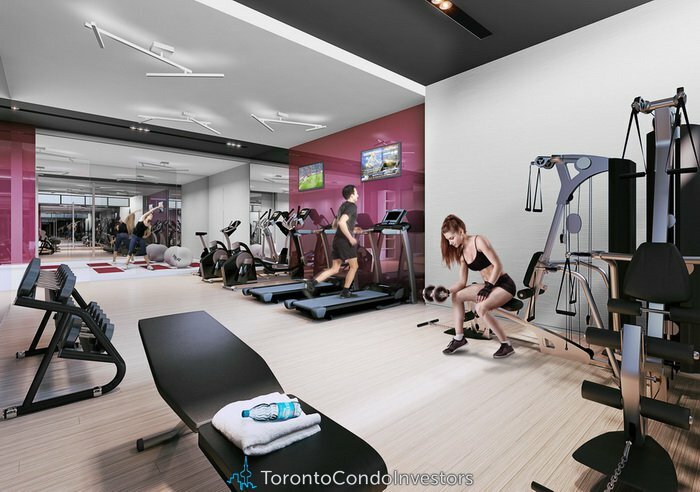 Here, ultra-modern suites are surrounded by must-have amenities like a fabulous Rooftop Terrace, Fitness Centre, Yoga Room, Party Lounge, Pet Spa and more. 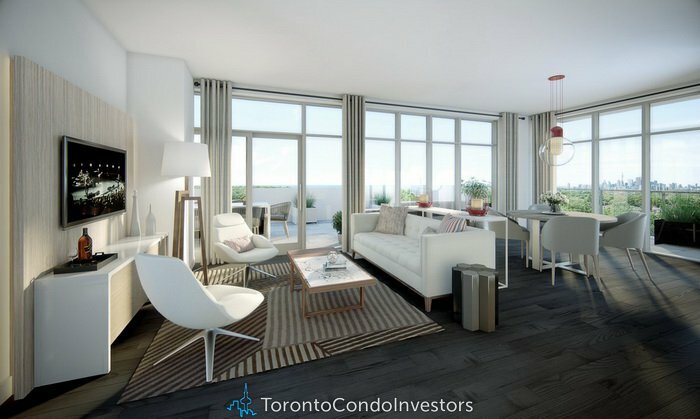 Rising 8 storeys up, CANVAS Condominium is designed to get noticed for all the right reasons. 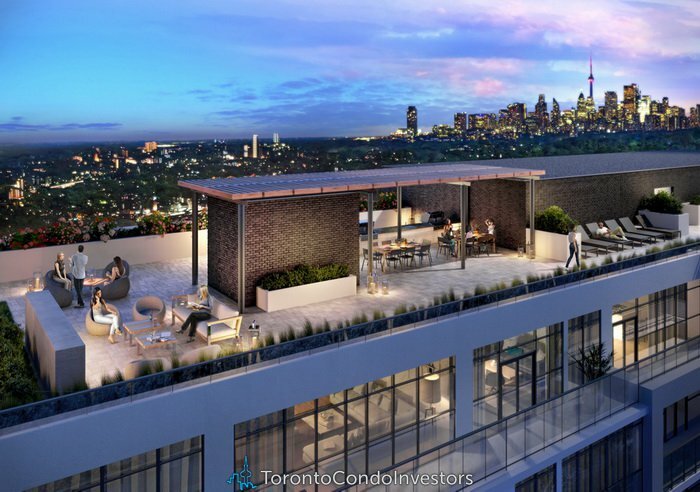 The design-savvy suites feature exceptional living spaces and stunning views of the surrounding city. 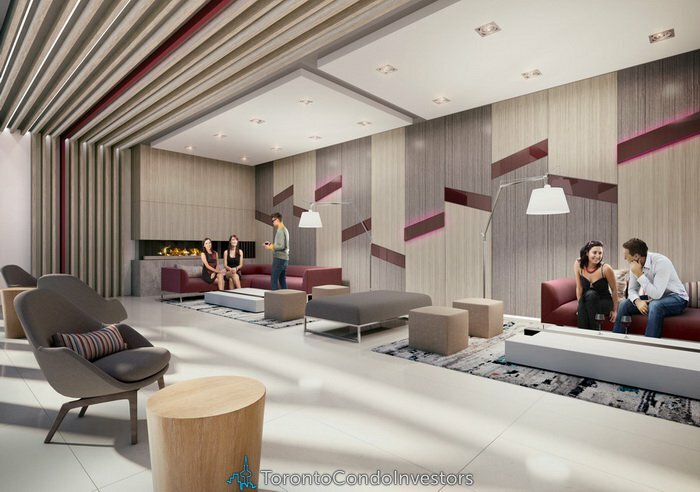 The sleek lobby greets you with neutral tones complimented by executive concierge. The neighbourhood offers ravine trails, community centres, restaurants and an array of shops. 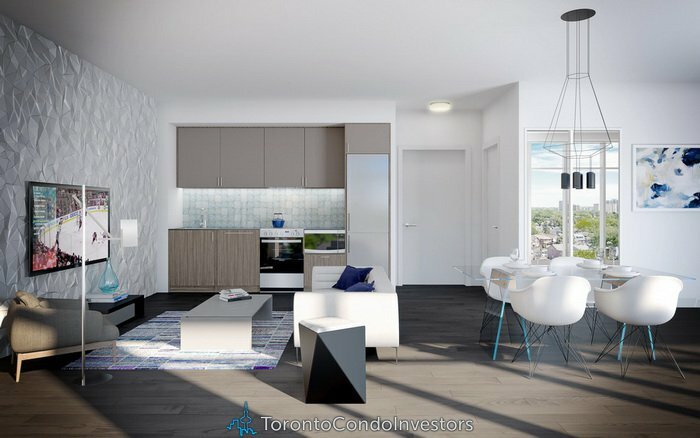 At CANVAS Condominium everything is at your fingertips. Ceiling heights of approximately 8’6” on floors 2-5, 9’0” on floors 6-8 and 13’0” on ground floor, with smooth finish. Laminate flooring throughout in foyer, living/dining areas, kitchen, bedrooms and den. Floor to ceiling windows in accordance with building elevations. Suites to feature unique Marlin Spring Valet Closet. Contemporary kitchen cabinetry custom designed by U31. Straight edge quartz slab kitchen countertop and single basin stainless steel under-mount sink.  Energy efficient kitchen appliances consisting of a 24” stainless steel refrigerator, 24” electric freestanding range, 24” integrated hood fan vented to exterior, integrated dishwasher and stainless steel microwave in lower cabinet.  Stacked 24” or 27” front-load washer-dryer directly vented to exterior. Custom designed integrated sink and countertop with single lever faucet in chrome finish. Contemporary bathroom vanity featuring an integrated sink and countertop with single lever chrome finish faucet, custom designed by U31. Bathroom mirror with wall mounted light. Full Height ceramic wall tile in the tub surround and in separate shower stall. Faucet with chrome finish and stylish square showerhead in tub or in separate shower. Framed clear glass shower door with pot light in shower stalls. Individually controlled heating and cooling system. Fibre optics run to suite providing phone, internet & cable.